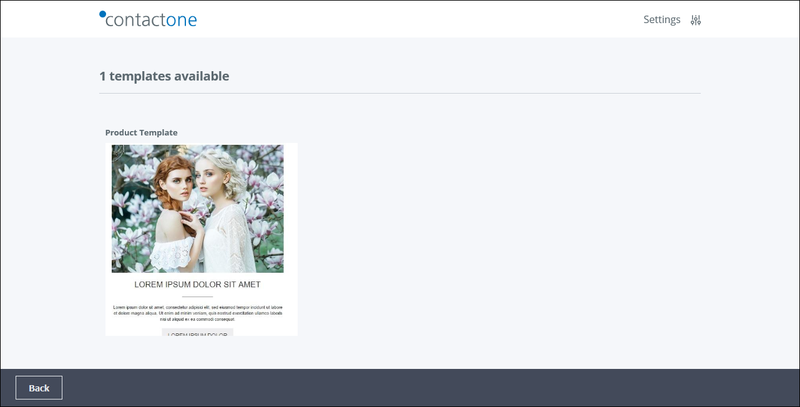 Templates are preformatted layouts that enable you to add personalized text and selected repository content to customer messages. Templates are defined to accept a minimum and a maximum number of items. This means that if, for example, you select two products, then only those templates that accept two items display on the Templates page. 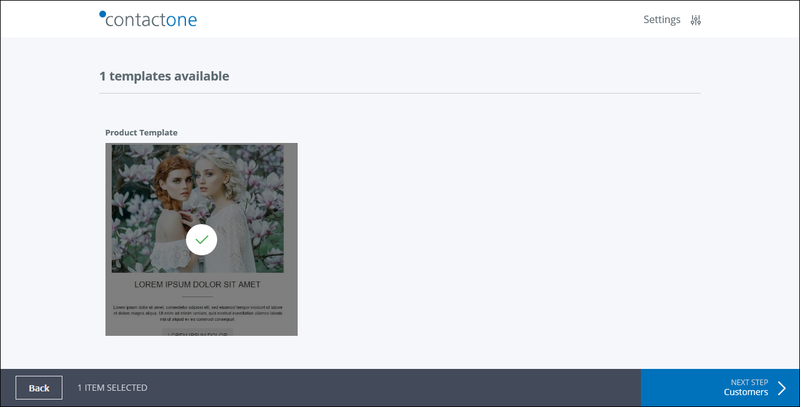 Tap or click the appropriate template imageThe template appears gray and is highlighted with a check or tick mark.You can deselect a template by tapping or clicking it again. The Customers wizard page displays.